Southeast Health is the region’s largest referral center for complex medical and surgical care. The Critical Care Unit (CCU) is a highly specialized 32-bed unit dedicated to caring for the needs of critically ill patients needing intense monitoring. Patients in this unit are cared for by a multidisciplinary care team comprised of specially trained doctors called intensivists, nurses and other staff experienced in critical care medicine. Working together, they create and implement individualized care plans for CCU patients. The CCU is located on the fourth floor on Southeast Health’s main campus. If you would like to talk with a case manager or social worker, please notify a critical care nurse or call the Case Management /Social Services department at 334-793-8070 (dial 8070 on a hospital phone). Chaplains are important members of the “Healing Team” and are available to help patients and theirfamilies with emotional and spiritual concerns. If you would like a chaplain visit, tell your nurse or call 8111 for the operator. Patients and their loved ones who are living with life threatening illnesses. If you would like to speak to someone from the Palliative Care team, please notify your nurse. To learn more about our Palliative Care Program, click here. Southeast Health provides notary service as needed. Please contact your nurse for assistance. A language line is available to help communicate with non-English speaking patients. Sign language interpreters are also available for hearing impaired. For information and/or assistance with RV hook-up, please call Security at ext. 8014 from inside the hospital, or 334-793-8014 from outside the facility. Southeast Health was the first hospital in the region to establish an Intensivist Program. Intensivists are specially trained and certified physicians experienced in treating complex issues and averting complications that often arise quickly with critical care patients. 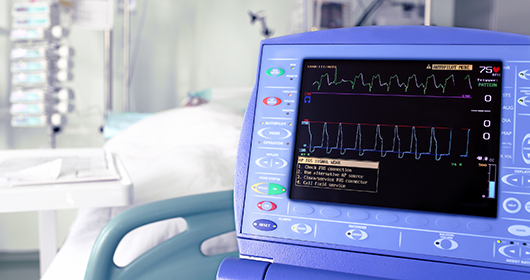 This is important because a growing body of scientific evidence suggests that the quality of care in an intensive care unit is influenced by whether intensivists are providing care. This program is another way Southeast Health is continuing to take the necessary steps to ensure our patients receive the quality care they expect and deserve through evidence based medicine. While rest is important for critically ill patients, family member visitation improves patient outcomes. For that reason, we have established expanded visiting hours: 7:30 a.m. – 6:30 p.m and 7: 30 -9 p.m. From 9 p.m. – 7:30 a.m., one visitor may remain at the bedside. After your loved one is admitted or transferred to the CCU, the family is asked to wait in the family room while our staff cares for the patient. Family members are allowed a brief initial visit usually within the first hour of arrival. It is important to communicate to the attending nurse any questions or concerns about your loved one at that time. When a patient is newly admitted to the CCU, it is important for your family to choose a primary contact. It is helpful to designate an individual that we can communicate with about your loved one’s care and condition. Primary nurse contacts are listed in the patient chart and can provide basic patient information to family members and friends. You may reach the Critical Care Unit by calling 334-793-8820 or 334-793-8836 to be connected to your loved one’s nurse. Please keep in mind, due to the intensive patient care required in the Critical Care Unit, staff nurse availability may be limited.